Hardik Nadiyapara: Exapand - Collapse Android TextView. 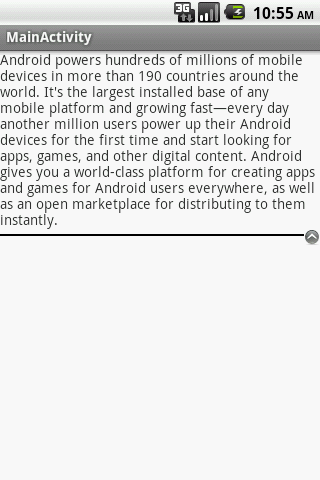 Exapand - Collapse Android TextView. 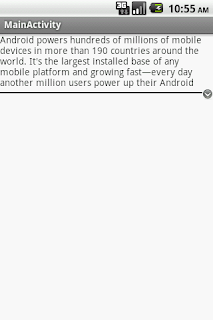 Here I want to share some knowledge about android textview. 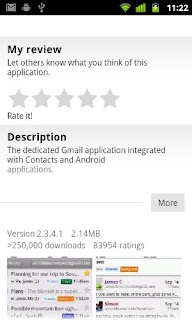 Android Textview is a very Useful element in your application. If you want to make functionality like expand - collapse of textview it is easy after end of this article you can make this functionality. e.g. 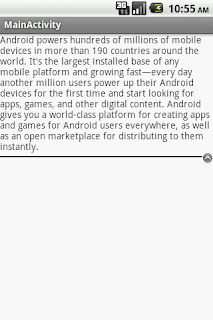 If you want to expand or collapse your textview like in below is image of Play store app. Here I am only describe that how more/less button functionality are work. first of all in your activity_main.xml file paste below code. <string name="desc_content"> Android powers hundreds of millions of mobile devices in more than 190 countries around the world. It\'s the largest installed base of any mobile platform and growing fast—every day another million users power up their Android devices for the first time and start looking for apps, games, and other digital content. and run your Project It will give you below output. After Clicking on the arrow button you will see the below screen in your application. 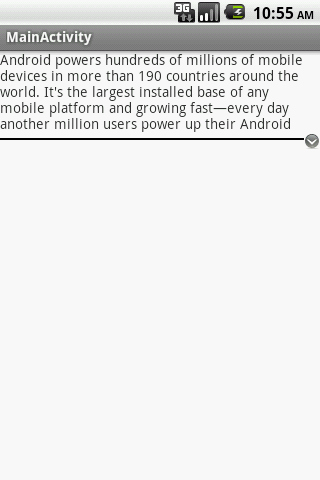 it will expand your textview to maximum of height. Thanks, nice post, easier than creating a custom component..
Great .Thank you so much !